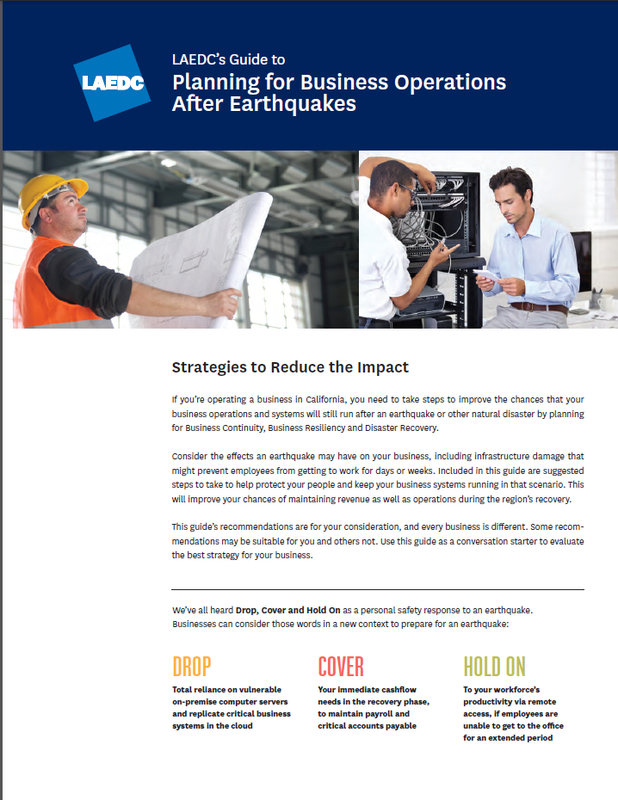 Los Angeles Economic Development Corporation’s (LAEDC) Guide to Planning for Business Operations After Earthquakes provides suggested steps to take to help protect your people and keep your business systems running in that scenario. This will improve your chances of maintaining revenue as well as operations during the region’s recovery. Bolton Safety & Health specialist Laurie Flores was among the team that helped develop this insightful piece from LAEDC.